Yes friends, this is the new "Government Motors"-designed 2014 Chevy Camaro which, according to insider groups within the bankrupt automaker, is a muscle car designed to meet the new, more stringent CAFE standards. Okay, so we kid. Obviously this isn't the 2014 Chevy Camaro, instead a Chinese fan made this Bumblebee-inspired Chevy Cruze. 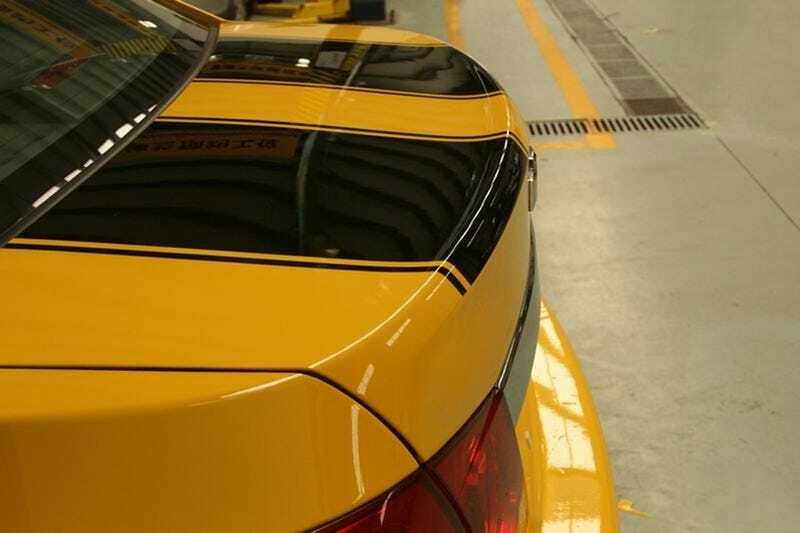 With the price of a Camaro in China hovering around the $200,000 mark for a gray market import, he did the next best thing and repainted and added Bumblebee stripes. Fairly convincing, if you've never seen a Camaro that is.